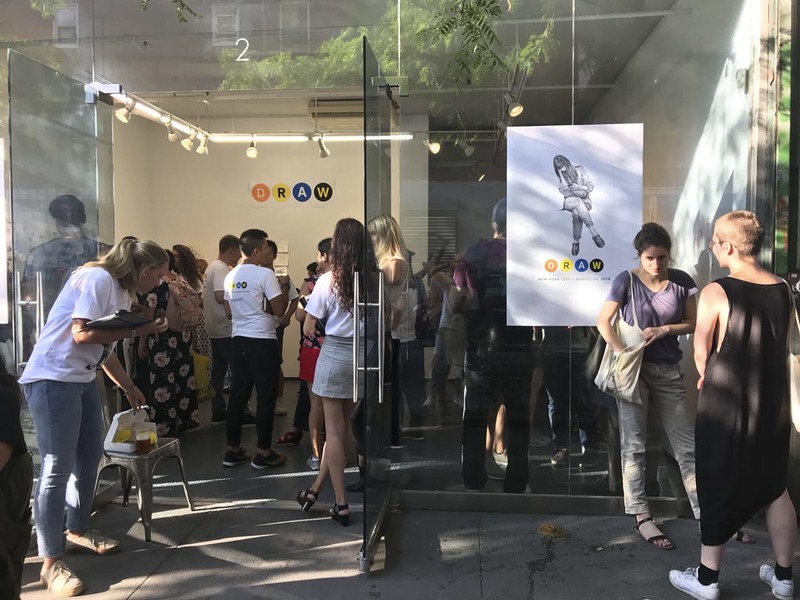 Sugarlift and NYC artists took over the 2nd Avenue Subway, later exhibiting work to raise over $2,000 for Young New Yorkers! 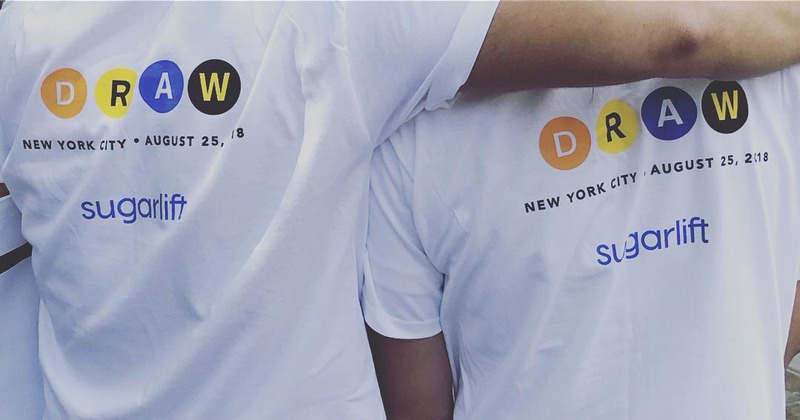 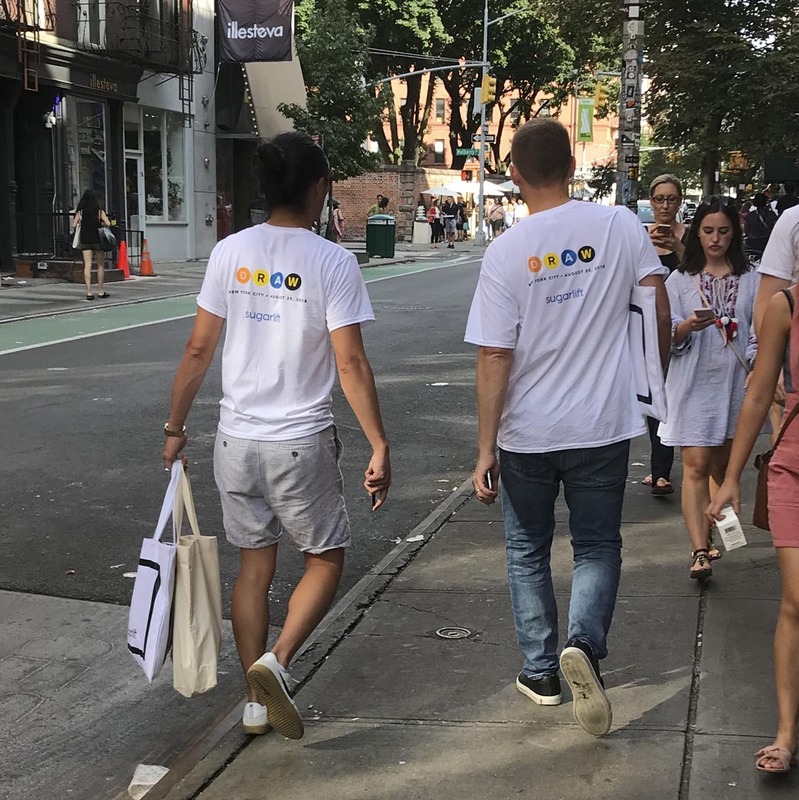 Those riding the Q Line in NYC on Saturday August 25th may have happened upon an interesting sight. 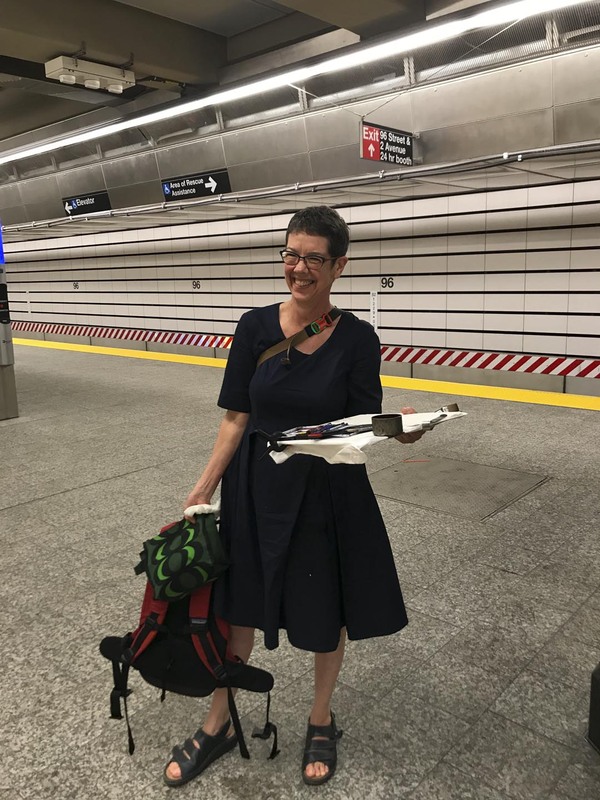 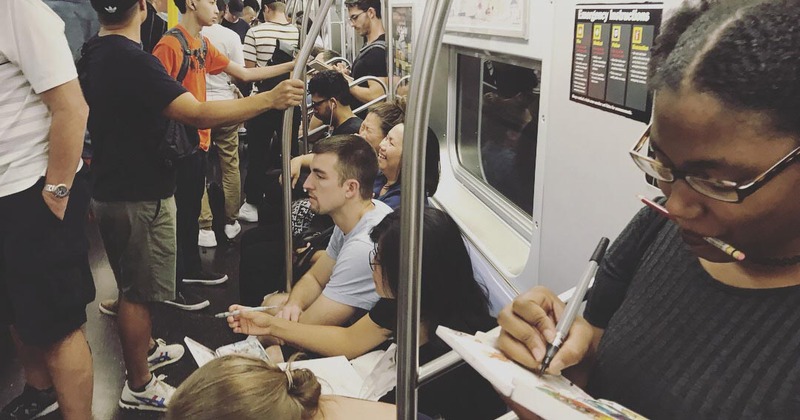 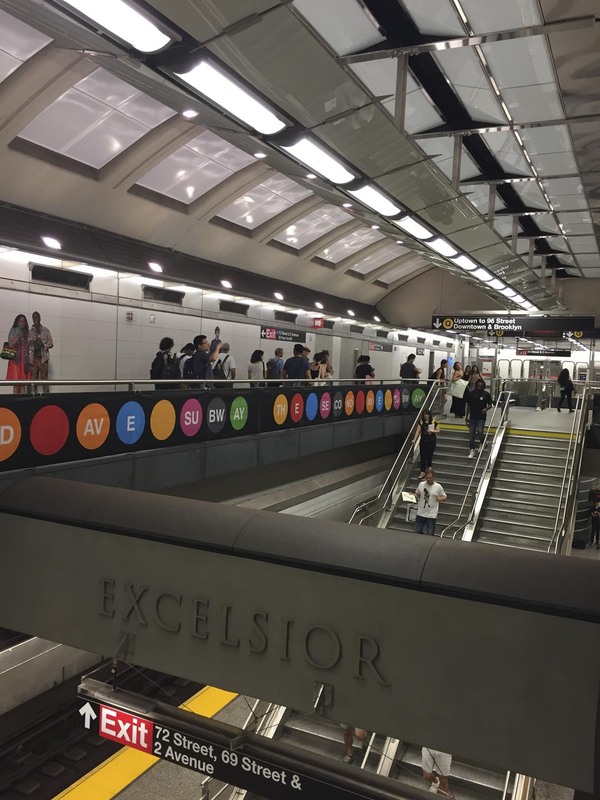 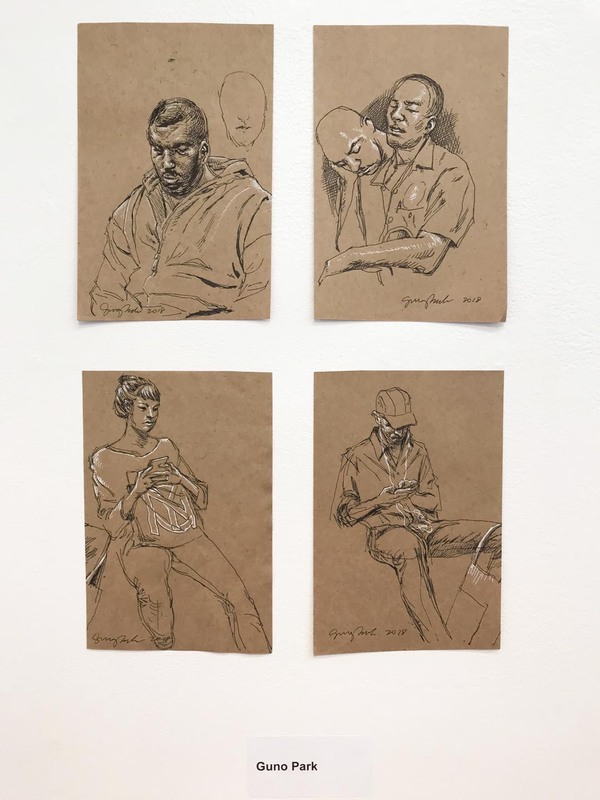 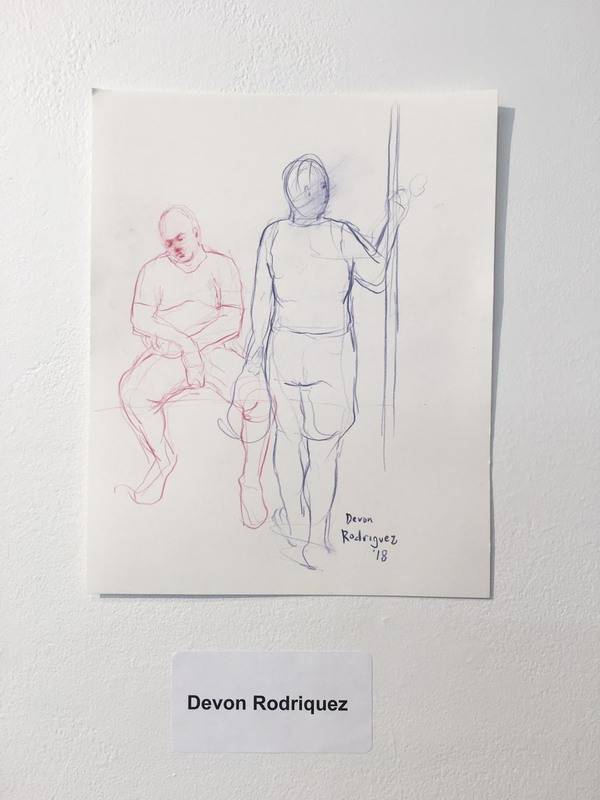 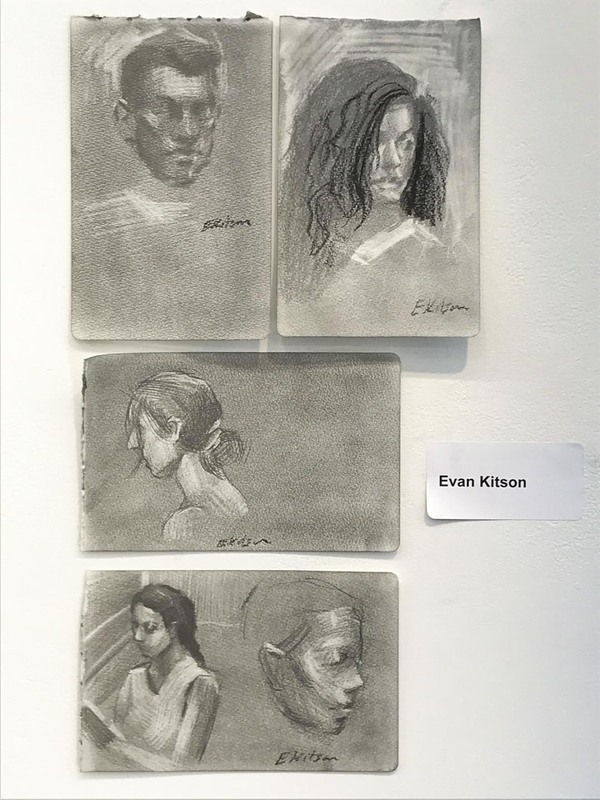 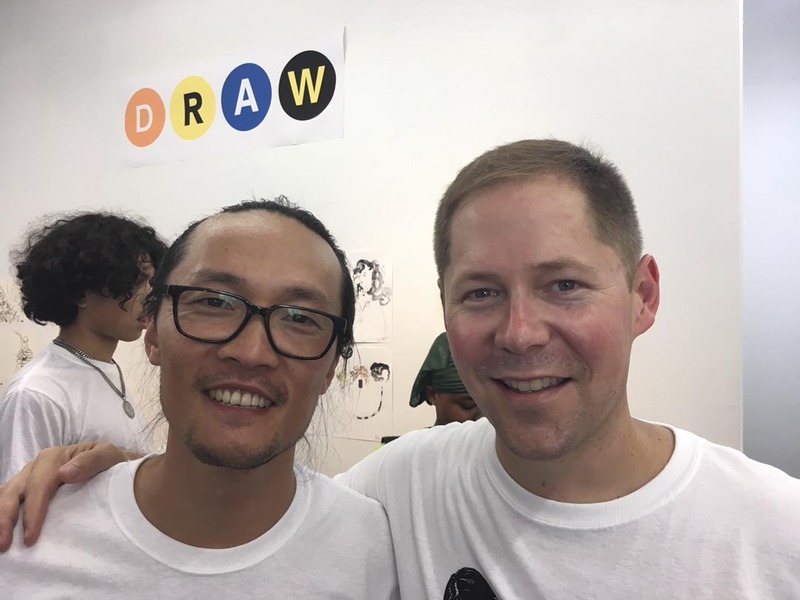 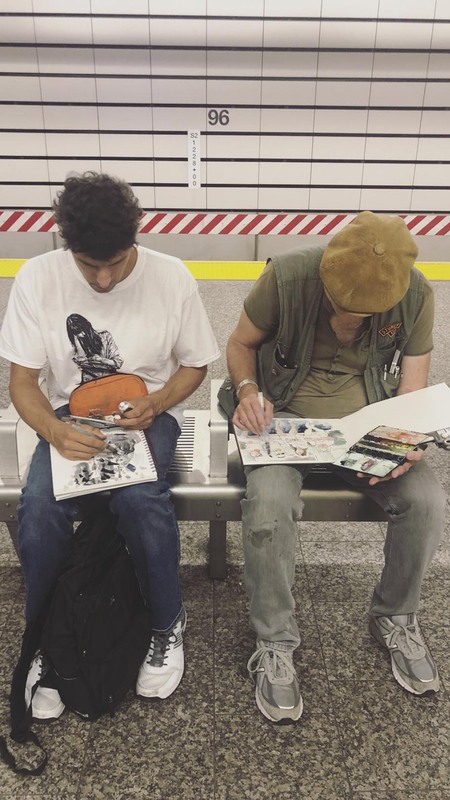 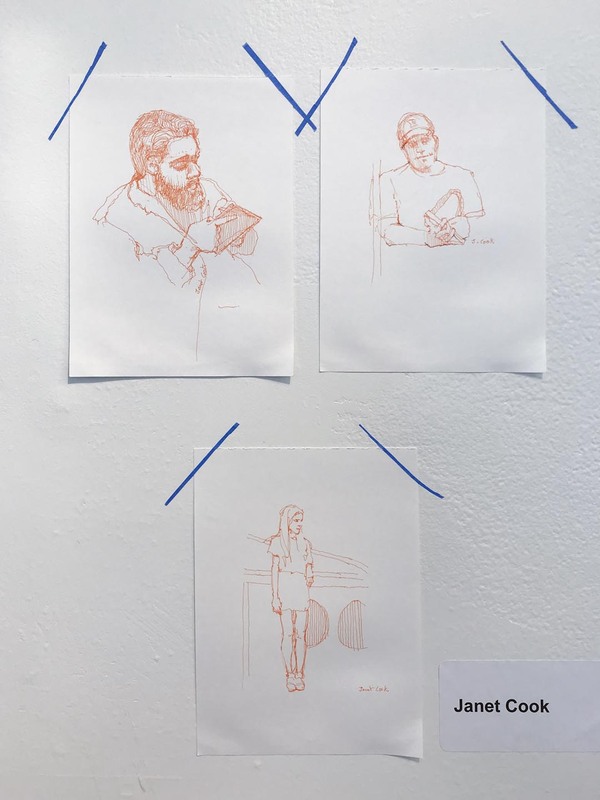 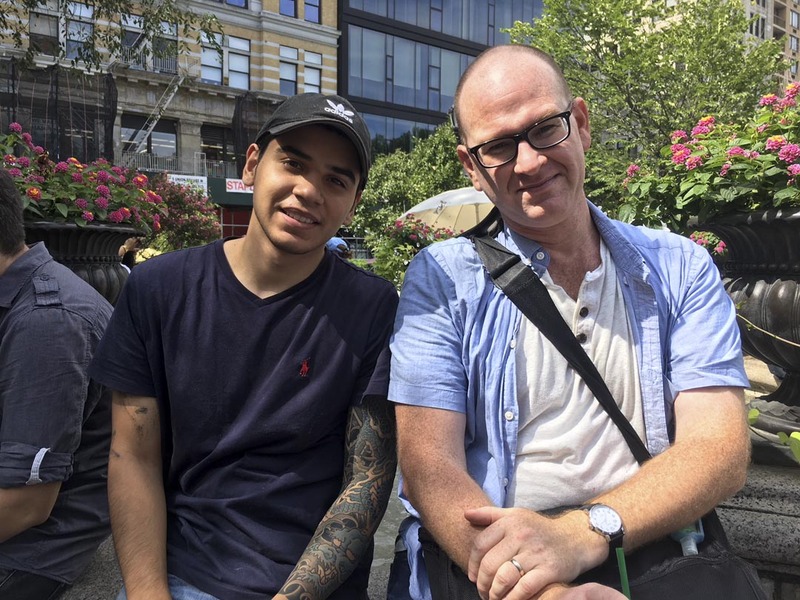 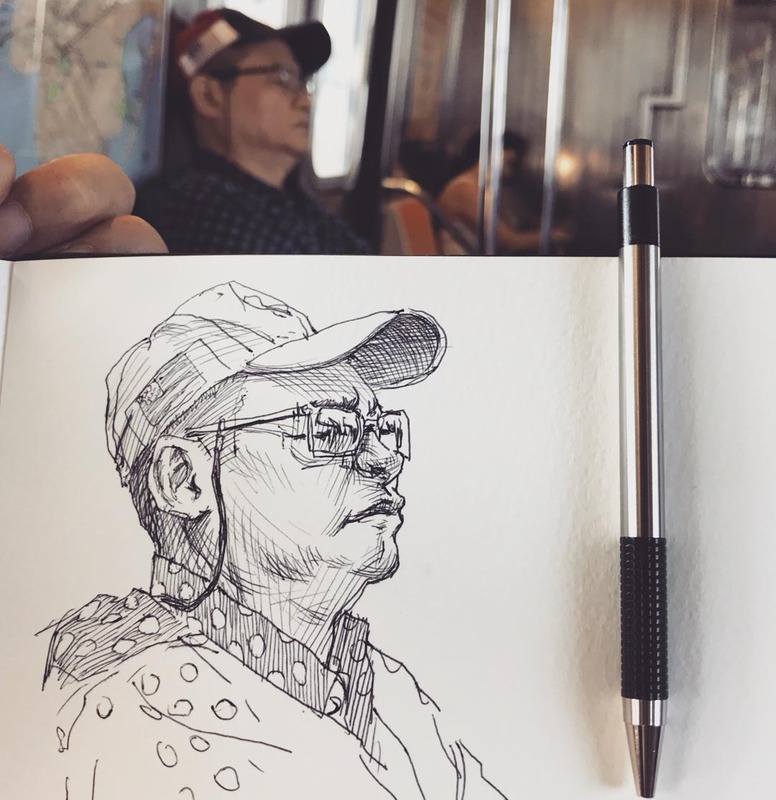 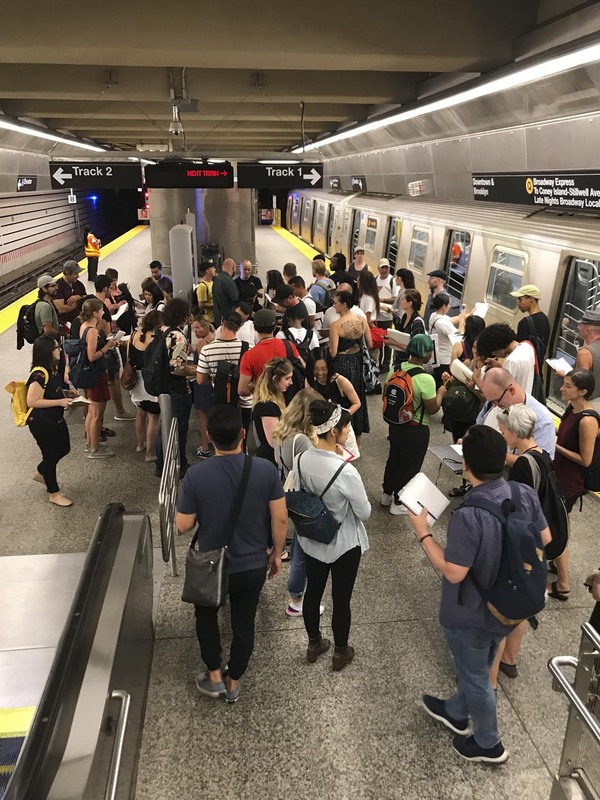 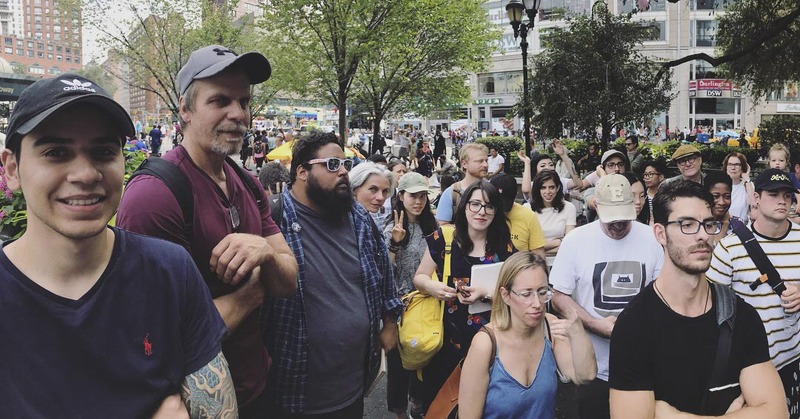 Between 3:00-4:30pm, over 50 artists took their sketchbooks and packed into the subway cars at Union Square station, rode up to 96th street, and then on to Prince Street and a nearby popup gallery. 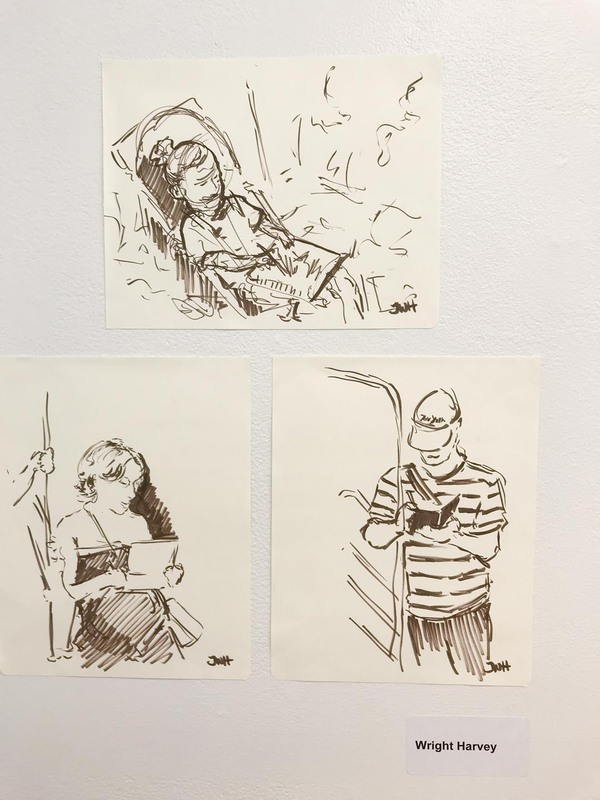 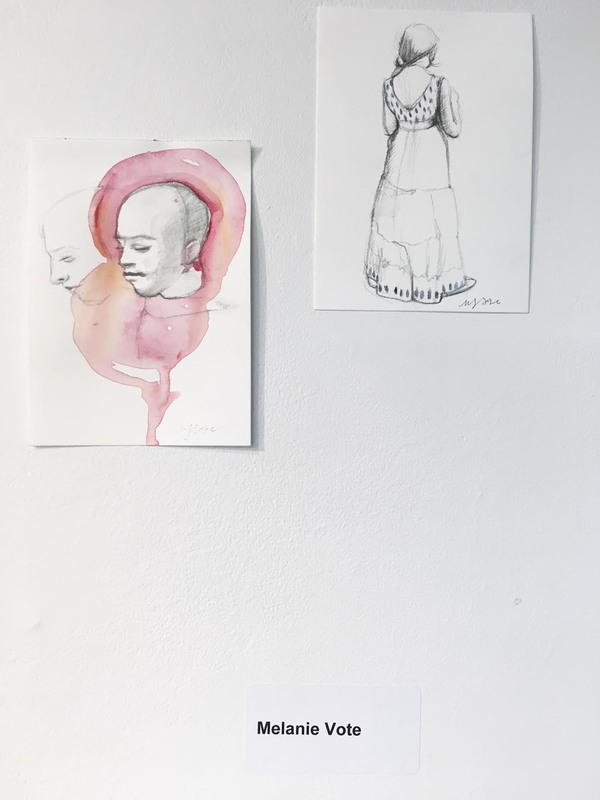 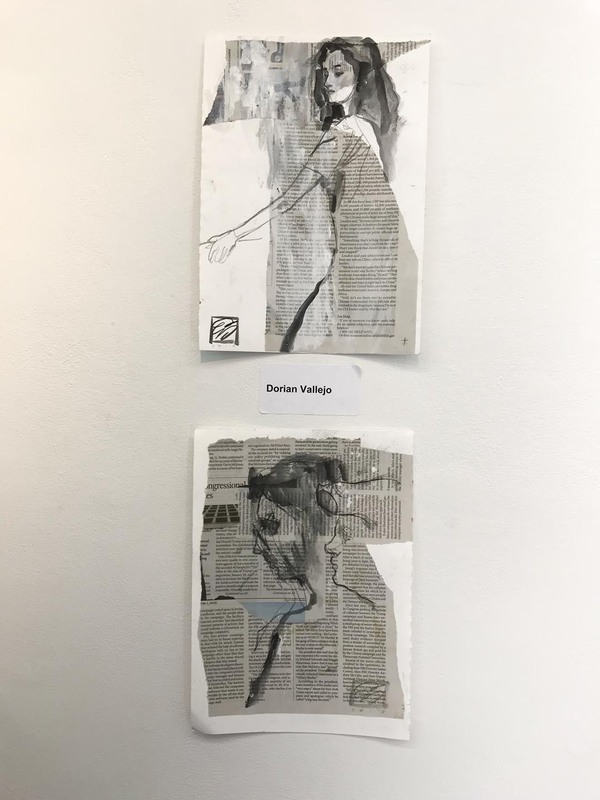 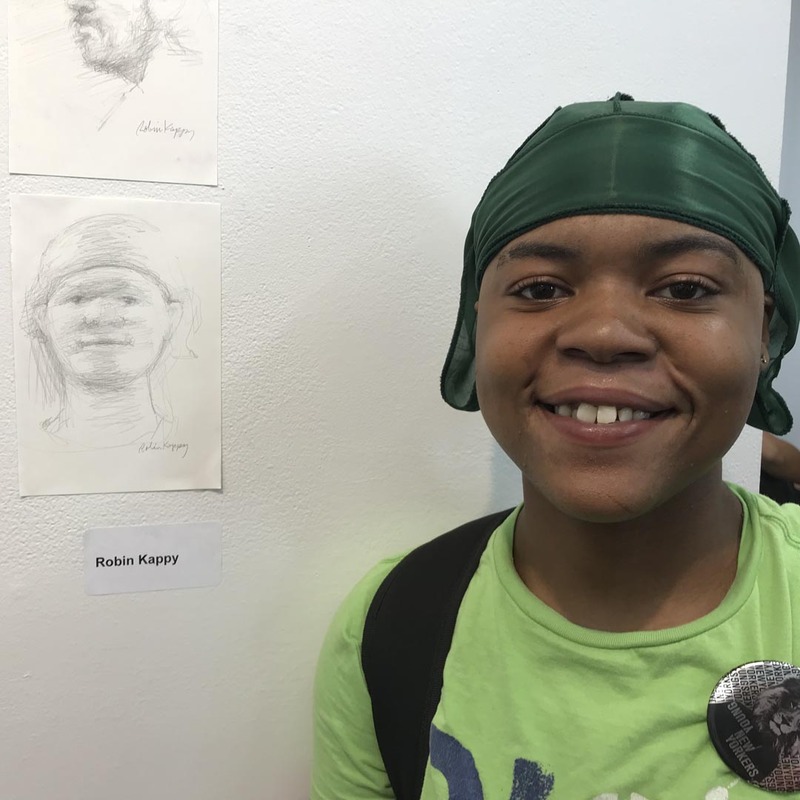 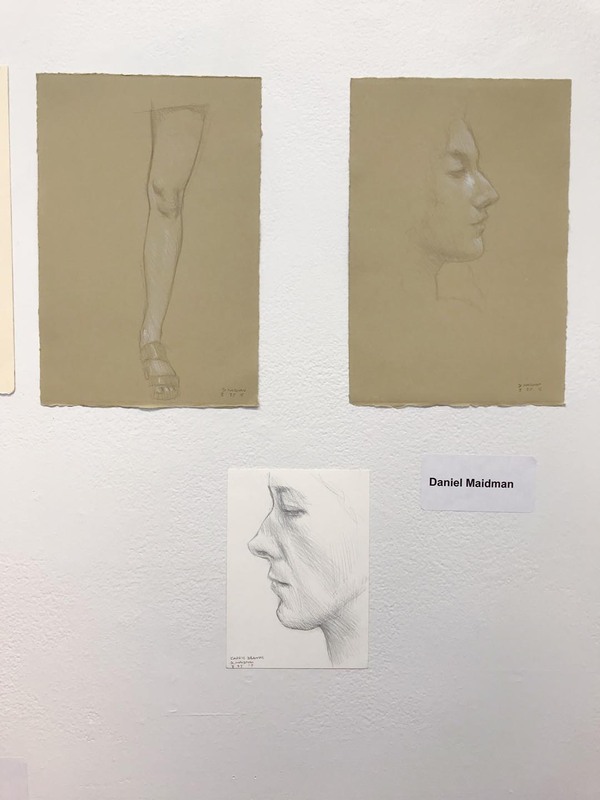 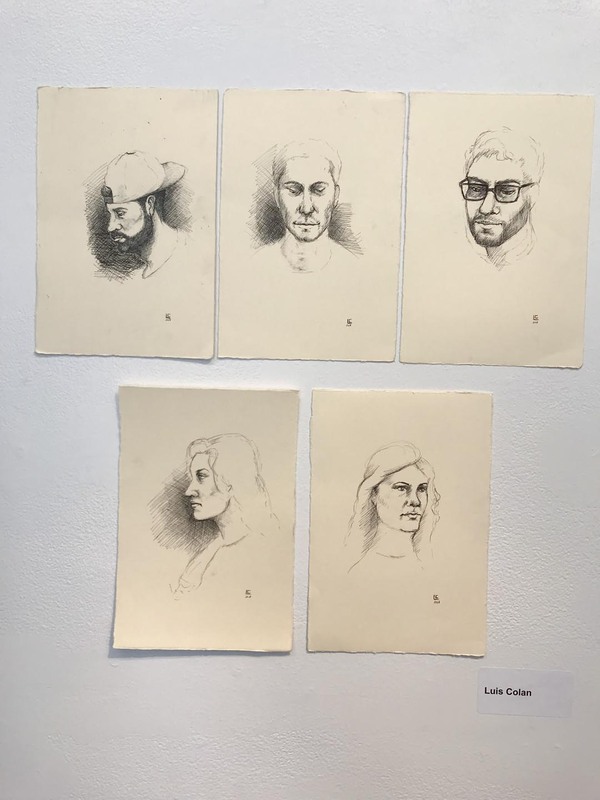 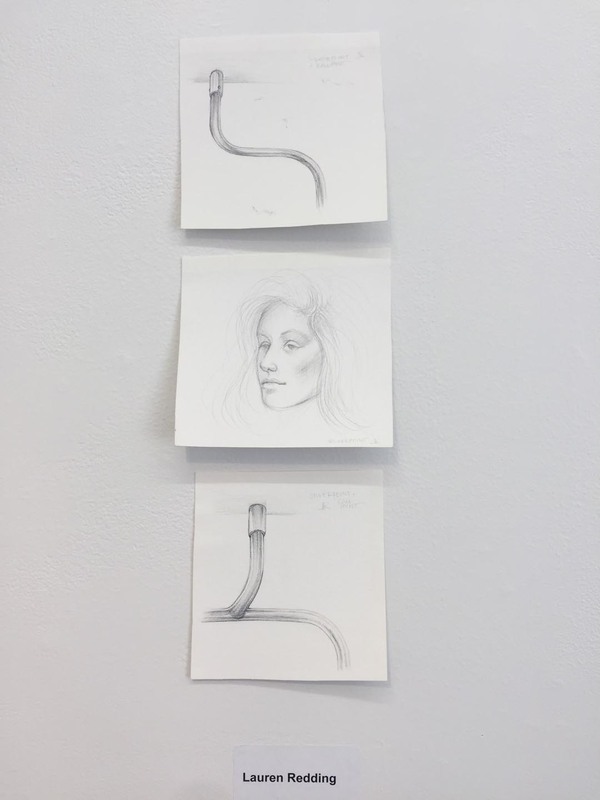 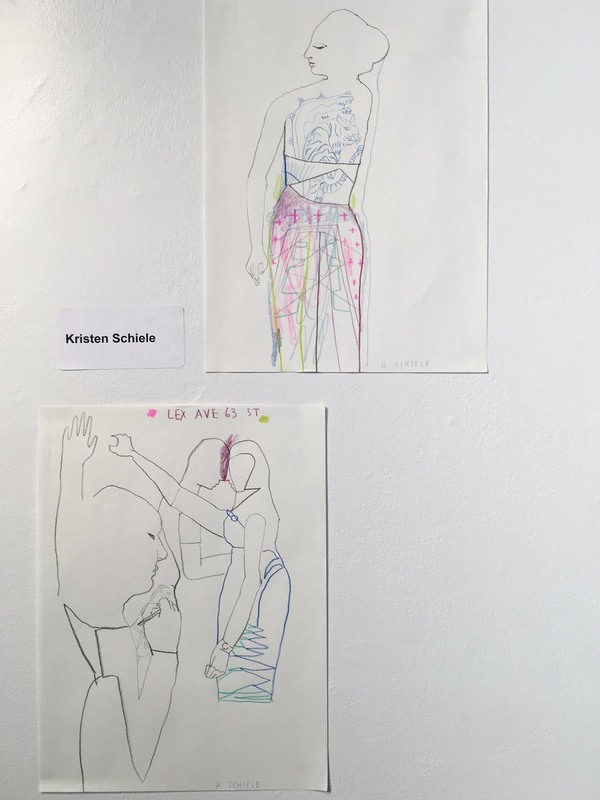 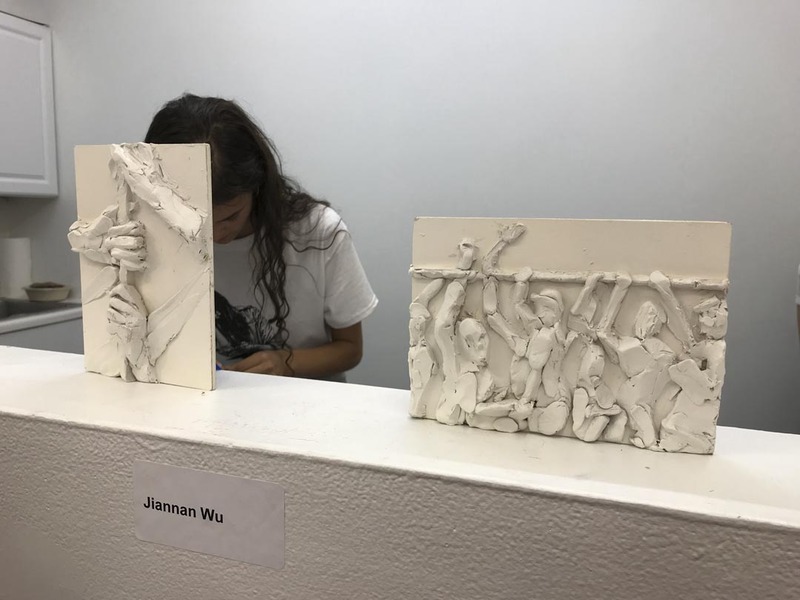 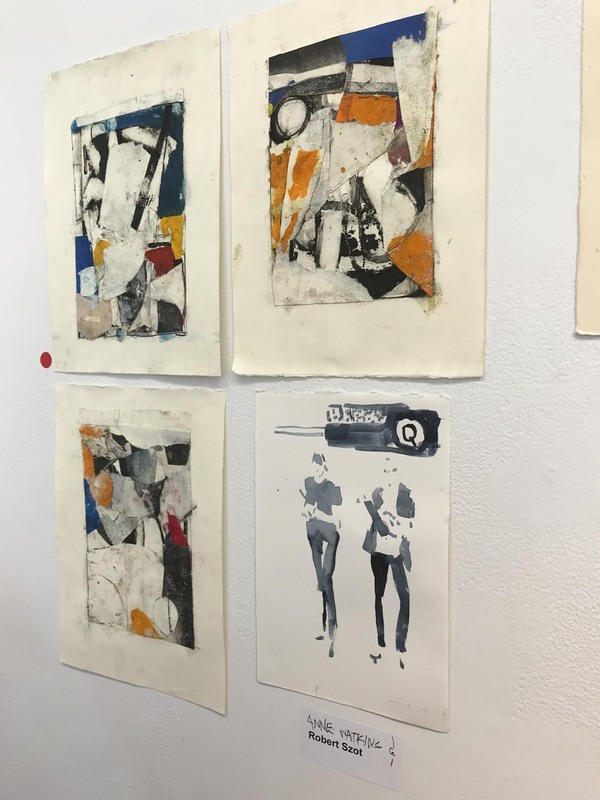 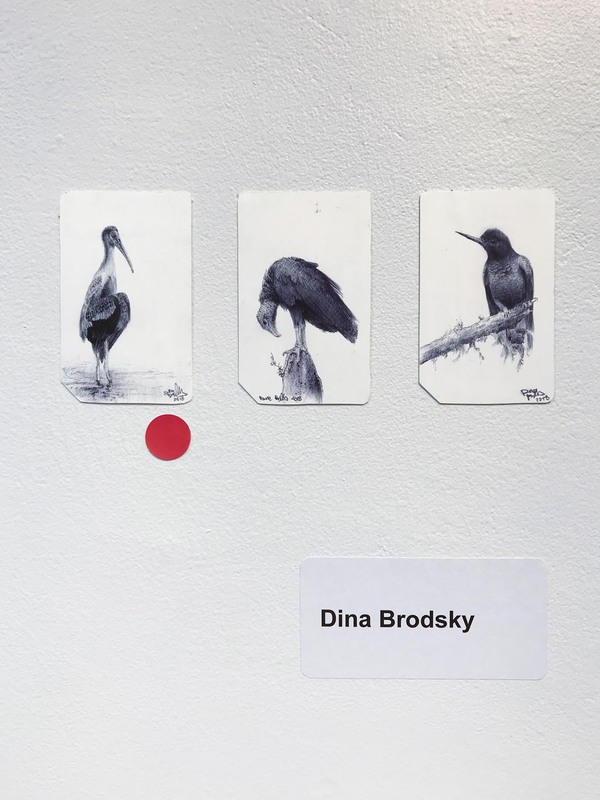 There, artists exhibited the sketches they made, to sell for the price of a 30-day metrocard The event raised over $2,000 for the Young New Yorkers’ Art-Not-Jail program. 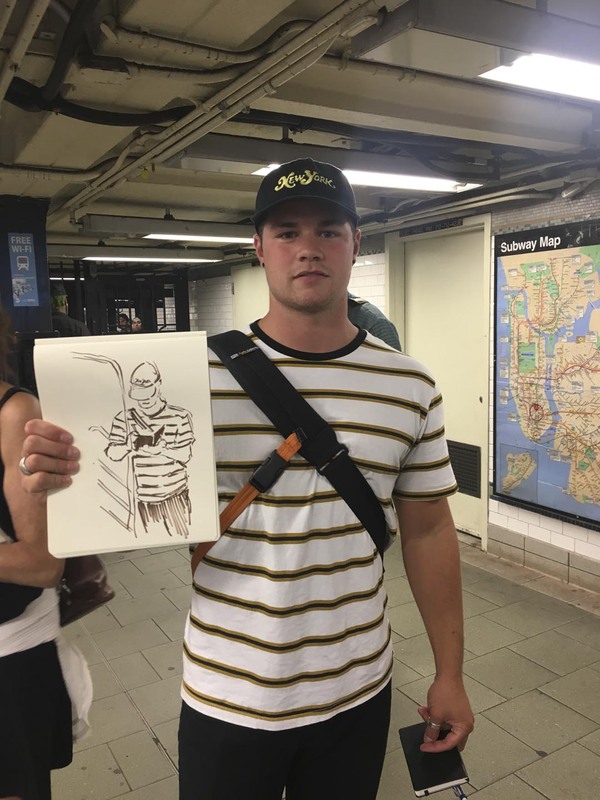 Among the artists were two graduates of the Young New Yorkers! 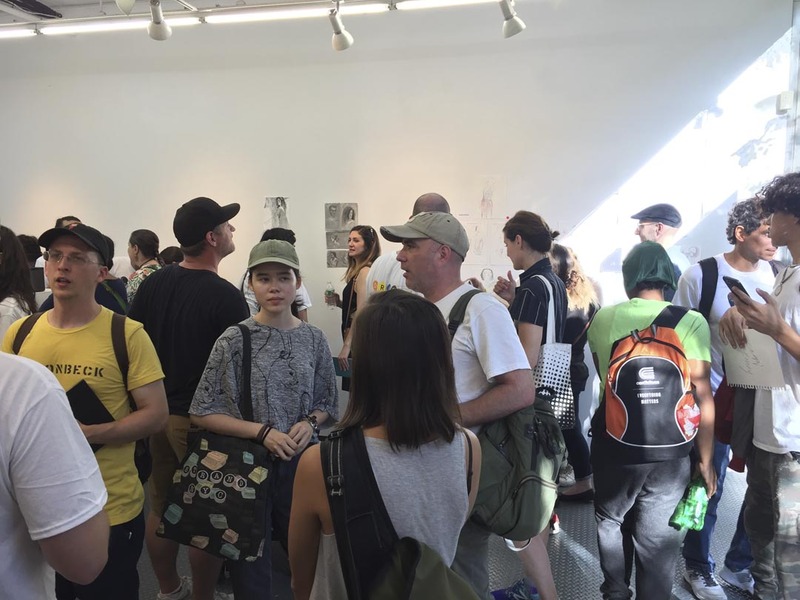 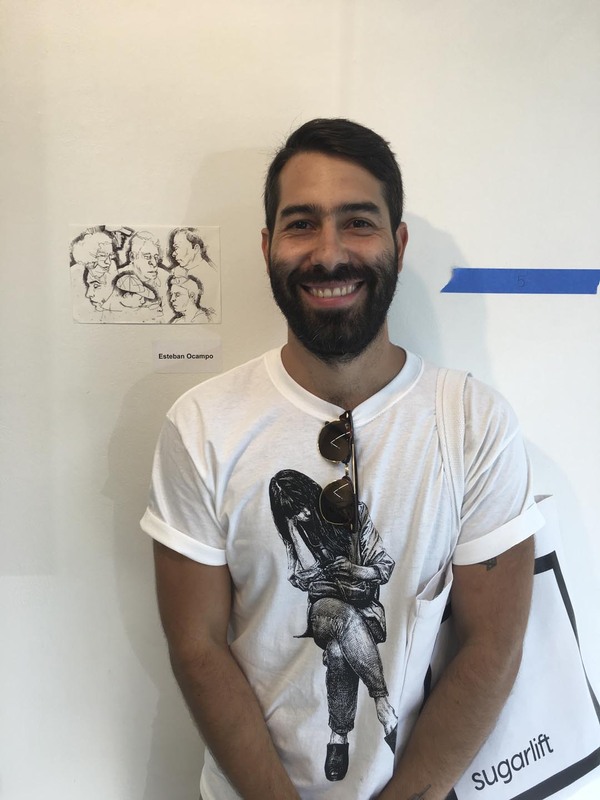 Special thanks to all of the artists who came out and our host artists: Guno Park, Anna Park, Daniel Maidman, Devon Rodriquez, Dina Brodsky, Dorian Vallejo, Esteban Ocampo, Evan Kitson, Jane Stone, Janet Cook, Jessica Matier, Jiannan Wu, Kristen Schiele, Lauren Redding, Luis Colan, Lujan Perez, MJ Torrecampo, Melanie Vote, Robert Szot, Robin Kappy and Wright Harvey. 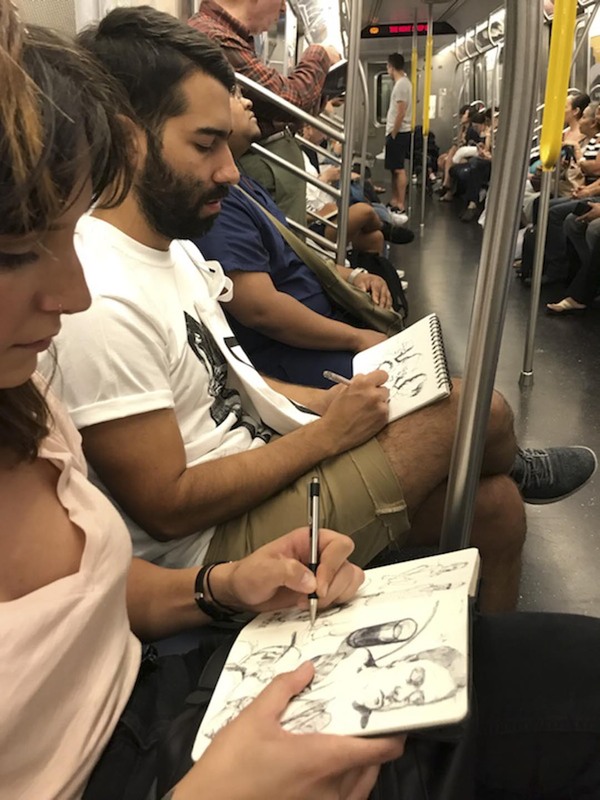 Also, thanks to our sponsor Moleskine for the great drawing gear!